Virginia Horton, who once lived on Sapelo and attended school on the island around 1935, believes this may have been the schoolhouse. Though I was told by a resident that it was the old post office, I’ll defer to the memory of someone who lived there at the time…stay tuned for more updates! Could this have been used as the school house? there was such a building used as a school house in 1935. At that time the post office was at the commissary. I think that’s a good guess, Virginia…I’ll see what I can find out. Thanks. and I am currently working on a longer work on Sapelo that will include materials on the school houses. Do you have more data (location, dates, etc.) or pictures of that schoolhouse? Marie Olsen was the post mistress at the time. The mail boat came to a dock near the commissary. If that building is located near the house that the Louis Olsens lived in then it was a school house. I know that I had a few weeks of 6th grade in that school before we left the island that time. 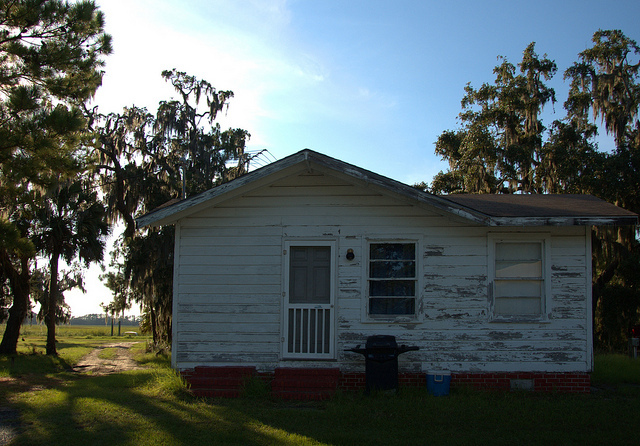 This bulding seems awfully small to have been the schoolhouse at a time when Sapelo had many more residents. Was there was a separate school house at Racoon Bluff? The building currently used by the Hog Hammock Public Library was the 2 room schoolhouse for many years. For a short time in the 1970s (?) the building pictured above was the post office. Ann Todd, whose husband Fred was a DNR boat captain, was the post mistress.